Okay... enough with the doll business! Let's try to grow a pair back by going more high-tech. The next three postings are going to be dedicated to something really cool: Computer Generated Imaging. 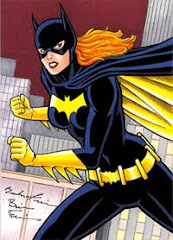 This is a great CGI of classic Batgirl in the dark streets of Gotham jumping towards action with batarang in hand. I really like its simplicity and video-game-like feel. 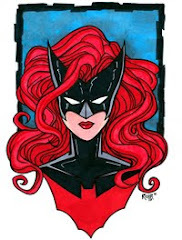 The website where I found this image several months ago has been decomissioned, but there was some pretty cool superhero art in it. 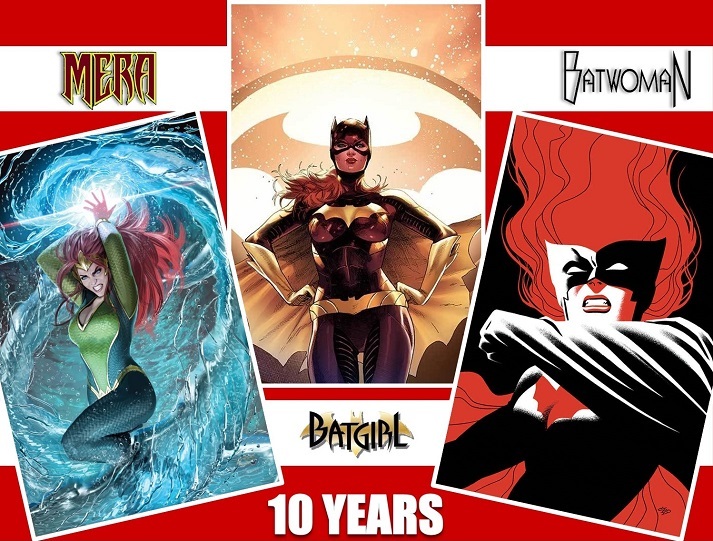 Since 2001 Hawkgirl has had many action figures (for boys) out in the market based on the Justice League show; however, Shayera never had a doll* (for girls) per se; but as you may have guessed by now, everything in this blog comes in three. I found this image of a custom made Hawkgirl doll. 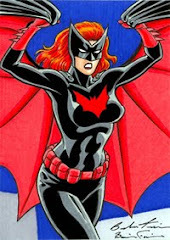 Really well done, especially the helmet, which is Shayera's distinctive signature. *I heard on TV this interesting theory: You know a doll is a doll because you can take its clothes off; you know an action figure is an action figure because you cannot do the same. 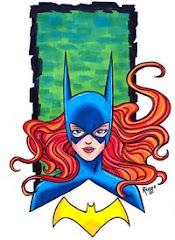 Batgirl also had her own doll produced by IDEAL; however, the product was very different to the redhead we all know and love. She had black hair, black costume and blue gloves and boots. 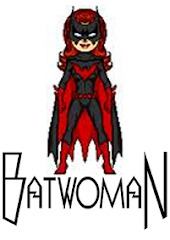 You can find more information on the Ideal Batgirl doll at http://www.jemboy.net/ . 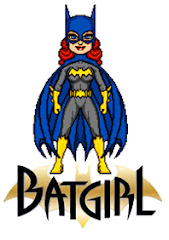 Forty years later, the Tonner Doll Company released the Batgirl doll as part of their DC Stars line; this time as a redhead... nice! 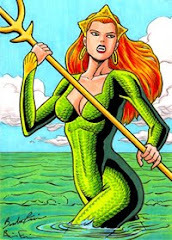 Mera ages gracefully, doesn't she? Must be good genes. The first doll was sold in 1967 (more than 40 years ago!) by the company IDEAL as part of their Super Queens dolls line; and who deserves the title of queen more than Mera? After all she's queen of two worlds. I found this picture along with others at http://www.jemboy.net/ . I think, however, this must be a reproduction, not an original...but what do I know? The second doll was offered as a convention exclusive exactly 4 decades later. The Tonner Doll Company had this fancy event at the Swan & Dolphin in 2007 here in Orlando FL (if I had known I would have snuck in and gotten some goodies for myself) to lanch their Aquaman doll. 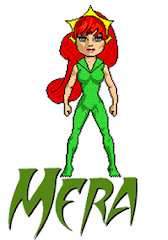 The Mera doll is an exclusive and as you can imagine very hard to find (cheap anyway). 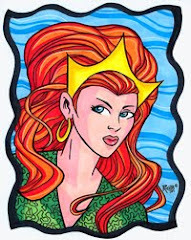 Dolls are not really my thing, but I'm glad whenever Mera is out there in any shape or form.